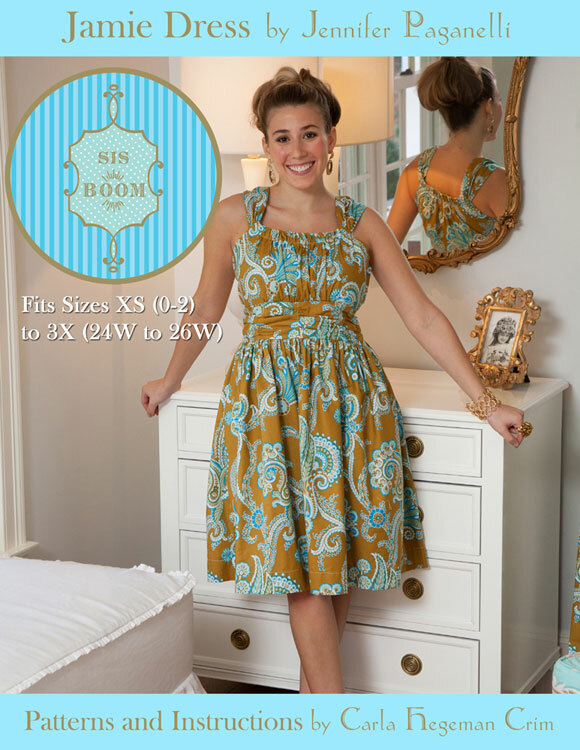 I'm taking part in the fun Sis Boom Jamie Dress sew-along at Sew Sweetness. Got my fabric in the mail today, and I hopped right on it but cutting out all my patterns pieces. 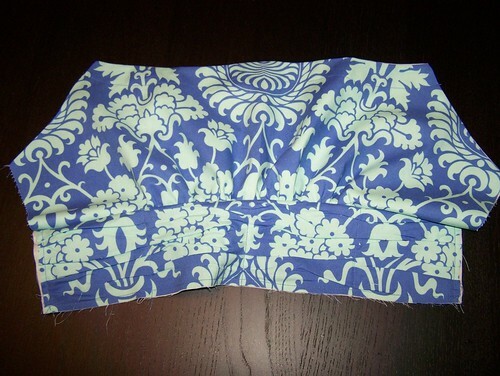 I also assembled the front of the bodice, which looks a bit like a chef's hat here. Excited to finish this up and try it on! My husband says I don't wear dresses, which is kinda true. But I do wear skirts a lot in the summer, so I'm sure I'll wear this with a cardigan to the office, which gets kinda chilly. I've also been experimenting with half square triangles, trying to come up with my design for the Kona solids challenge hosted by the modern quilt guilds. Each of us got a charm pack of Robert Kaufman solids to play with, and here is the progression of my mini quilt. ... Though I haven't stitched them up yet, so who knows? To make this design, I had to cut up 9 extra charm squares from different solids (used my Bottled Rainbows leftovers) to add to the charm pack. Don't tell Kaufman! Actually, there were no real rules to this contest. Our guild decided on the theme of spring, and I chose this concept based loosely on the idea of colors peeking through the "gray" of winter. So happy to have some springy fabrics to play with. Anyone else working on the dress sewalong or the Kona solids challenge? Such an awesome idea behind the quilt and I love the winning layout! Love the dress! I laughed at your "chef's hat" comment because I saw the photo before I started reading and I thought that very same thing. But it's going to be so pretty! The quilt is great. I loved all your block settings, but the "winner" was my favourite. Good choice ;) We finally have some sun peeking through the grey here! I love the dress and the mini quilt!! That layout is awesome!! I love what you chose, and I also love that second layout option. Very celestial. or something.